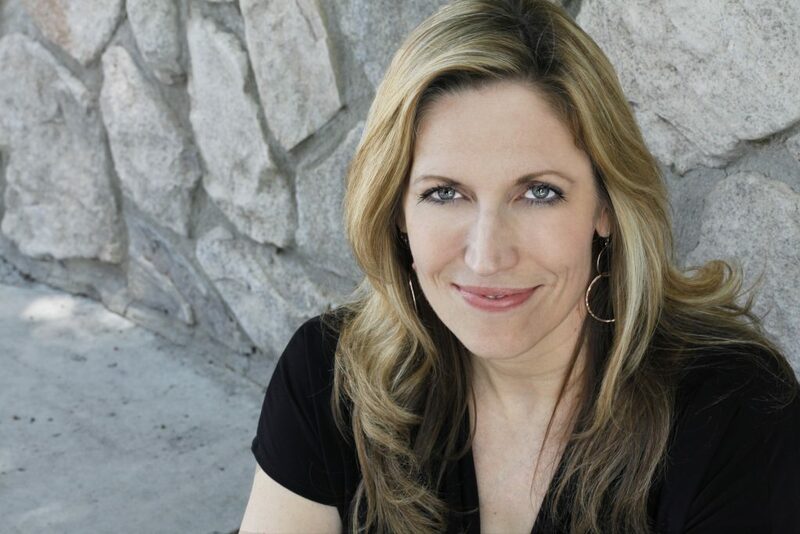 The Center for the Arts OnTheGo series brings the Best of the San Francisco Comedy Competition featuring Laurie Kilmartin, Myles Weber, & Steph Garcia to the Foothills Event Center for Mother’s Day, Sunday, May 12. Laurie Kilmartin has been doing standup since 1987. She has appeared on CONAN, Jimmy Kimmel Live, and Comedy Central. Her Seeso special “45 Jokes About My Dead Dad” made Vulture’s list of Top Ten Comedy Specials of 2016. She’s written two books is currently a writer for CONAN on TBS. She previously wrote for Tough Crowd w/Colin Quinn (Comedy Central) and The Late Late Show with Craig Ferguson (CBS). She has appeared the Montreal Comedy Festival as a New Face and, 12 years later, as a Master. Steph Garcia is best known for her quick wit, ferocious sarcasm and hysterical, yet vulnerable stories of life including marriage, kids and regrets. For the past 15 years, she has entertained thousands by drawing upon experiences from her nights as a single gal to getting married to a U.S. Marine, to having kids. Myles Weber is a Comedian on a mission. He handedly took first place in the 40th Annual San Francisco International Comedy Competition. Weber was the second youngest to win the competition and one of only two comics to ever sweep the whole thing. He has also fared well in festivals, having been voted “Best of The Fest” at the Burbank and San Luis Obispo Comedy Festivals. Myles has appeared on MTV’s Greatest Party Story Ever and hosted for Portico TV and Popular Science. A writer as well, Myles wrote for and Smosh Pit Weekly on Smosh’s YouTube Channel. Blending together silly mannerisms, honest material, positive crowd interaction and storytelling, seeing Myles Weber means you will never see the same show twice. 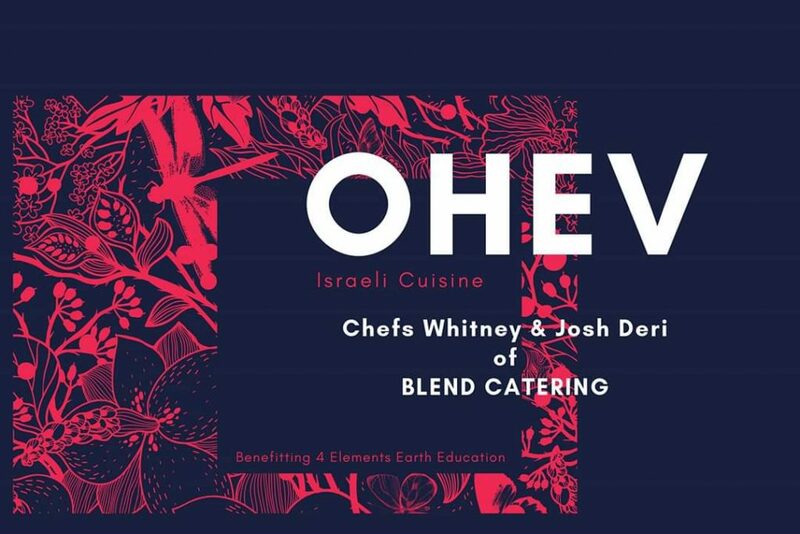 Join us for an elevated Israeli cuisine Paladar on Mother’s Day weekend benefitting 4 Elements Earth Education with celebrated Reno area chef duo, Whitney & Josh Deri of Blend Catering Reno. Seriously, bring your mom. Major bonus points here. Trust us! Please mark a dietary preference on the questionnaire via the Tock ticket link. We kindly decline changes to the menu other than vegetarian and gluten-free. Also, changes in-house are highly discouraged. Beverage pairings (TBA) benefitting 4EEE. 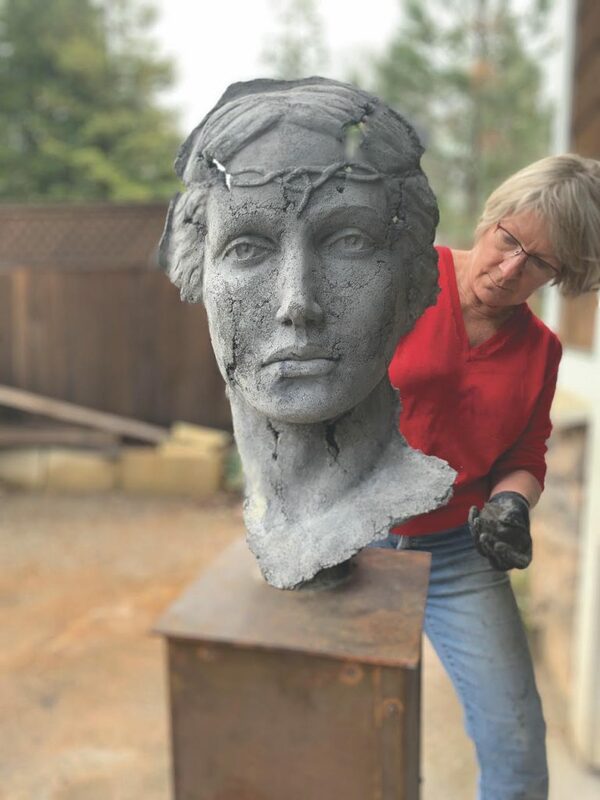 At once, the work of Grass Valley artist Deborah Bridges is both ephemeral and rooted in the mysterious and archetypal nature of the feminine, of mythology. 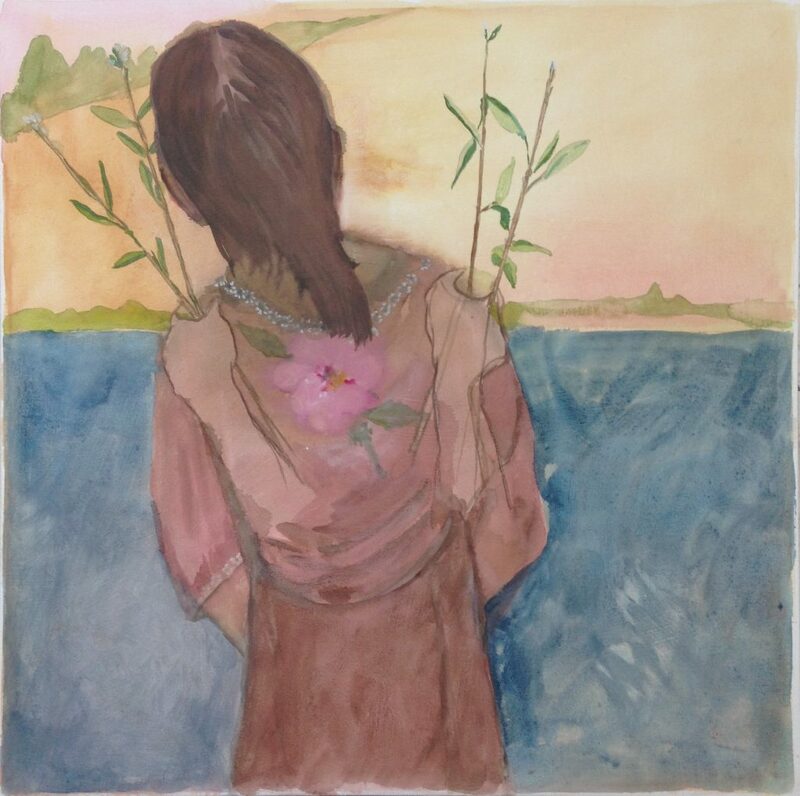 In this inaugural show, LeeAnn Brook Fine Art will feature the atmospheric encaustic paintings and ceramic sculptures of award winning, multi-disciplinary artist Deborah Bridges for the month of May. “Environment and Exploration” will include her new series of ceramic sculptures of women as feminine archetype, including 5’ tall garden sculptures. The show runs May 1-31 at LeeAnn Brook Fine Art, 231 Broad Street in downtown Nevada City. The opening reception is Friday evening, May 3 from 5-7pm during which Deborah will give an artist talk on the inspiration for her work. Her paintings, intuitive by nature, almost always have a dimensional grid of tiny lines throughout the layers of the wax. Bridges explains how the lines offer layered depth to the piece and speak to the invisible order of the manifest world. This interconnection, found in sacred geometry, lends itself to the natural order in which life organizes itself through one unified field of consciousness. The methods used in her encaustic paintings incrementally change yet she currently works with venetian plaster as the underpainting. Working with thin layers, color is added between the hot water with oil sticks and oil paints, resulting in about 15 to 20 layers of wax. While her sculptures are figurative, her paintings are more landscape based. The sculptures, representing “Exploration”, follow a line of inspiration where Bridges starts small with maquettes (prototypes), allowing the ideas to evolve. The small sculptures are Bridges way of working through the concept until it becomes clear which to make into the next large piece. There will be over eight maquettes for sale in the show that demonstrate a fresh, artful quality, exploring various expressions. Wanting to portray the feminine as present and powerful, the first two full-scale sculptures in this series come from Greek and Norse mythology. Bridges may not live by an official motto, but her ideas and inspiration are plentiful, as she recalled a Picasso quote she once heard, “Inspiration happens, but only if it finds you working.” Through being tenacious and navigating her career in a manner where ‘failure was not an option’, Bridges has been in art festivals all over the west coast and averaged around 17 shows per year. 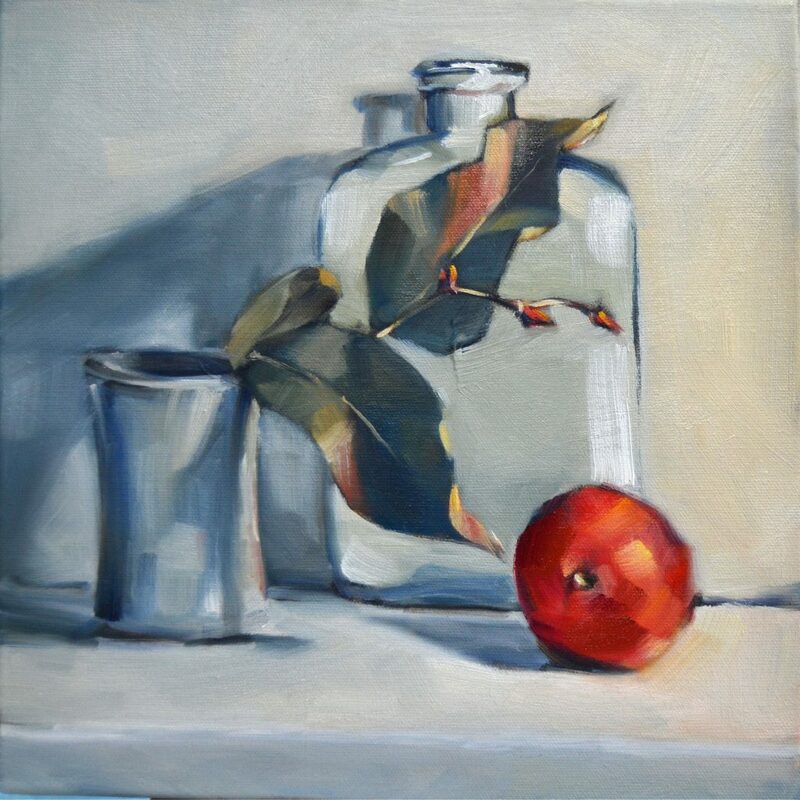 She now is represented by galleries on the West coast, including LeeAnn Brook Fine Art in Nevada City. She has a studio in Grass Valley, CA. Her awards include second place in the 2017 Off Center International Ceramics Show, Blueline Gallery in Roseville, CA; first place for “Landscapes and Earth” at the 2019 Wild and Scenic Film Festival; awards in the Bellevue Art Festival, Sedona Art Festival, Salt Lake City Art Festival, Mill Valley Art Show and La Quinta Art Show. Her work has been featured in International Encaustic Arts , December issue, 2018, and Lo and Behold, Reveries of the Connected World, a movie by Werner Herzog. LeeAnn Brook Fine Art is housed in a beautifully restored brick building in the heart of historic downtown Nevada City, CA. Located at 231 Broad Street, the gallery is open daily from 12-5 p.m., and is open on Saturdays at 11 a.m. To see the work of the gallery’s newest artists, and read more about the gallery and its upcoming shows and events, visit www.leeannbrookfineart.com . For further information, contact the office at 530-265-6817, or gallery at 530-557-5160. Spring is the season of growth and renewal. 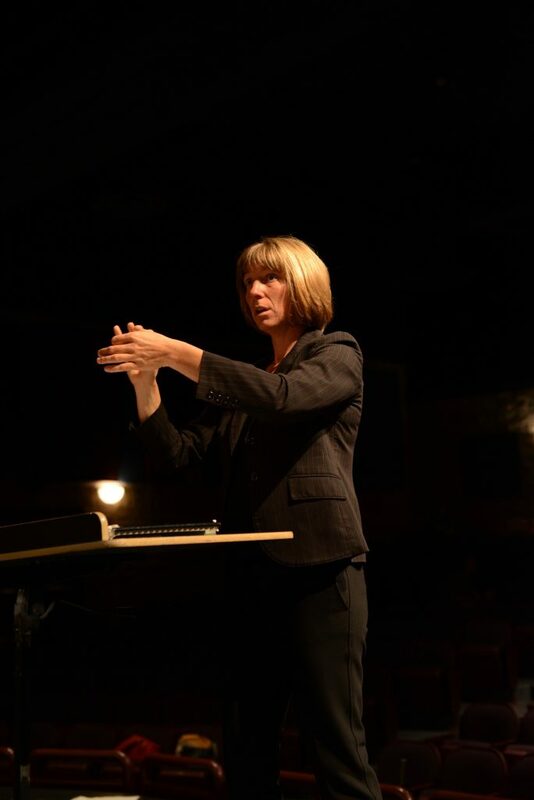 On Sunday, May 19 and Tuesday, May 21, InConcert Sierra presents the Sierra Master Chorale and Orchestra conducted by their new choral director Alison Skinner. Ola Gjielo’s magnificent ‘Across the Vast Eternal Sky’ represents the phoenix rising out of the ashes; Aaron Copland’s masterpiece ‘The Promise of Living’ is a true gem about embracing life and sharing it with others; and Morten Lauridsen’s stunningly beautiful ‘Sure on This Shining Night’ celebrates the beauty of life and viewing it with new eyes, Skinner explains. “These works remind us how and why we celebrate the life we are living,” she said. 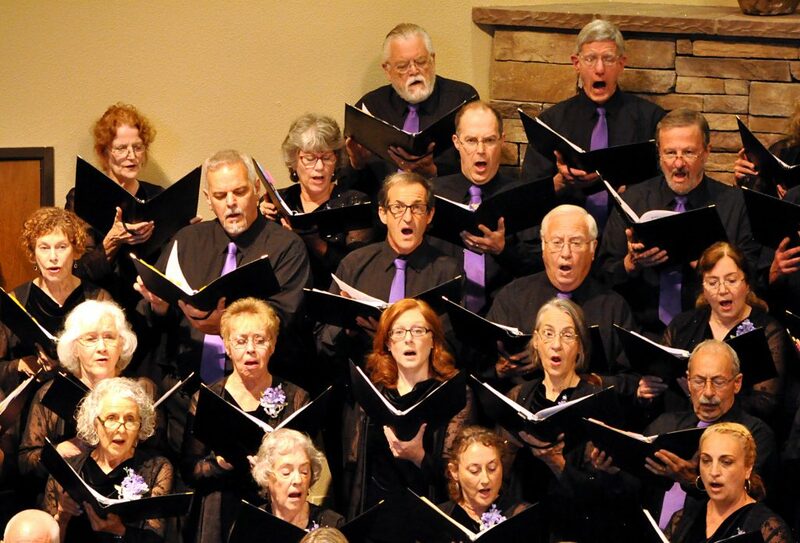 This is Skinner’s premier with the Sierra Master Chorale, following the retirement of founding choral director Ken Hardin in December 2018, and the choir is thriving under her leadership. “Alison told us that the theme of our first concert with her was about suffering a death/loss/change followed by coping with the loss, overcoming it, and then thriving. I immediately felt that the theme was deeply resonant for our first concert without Ken as our director. What larger loss can a choir have than the loss of its founding (and deeply loved) director?,” said Baritone Steve Nicholson, whose been singing under Ken Hardin’s direction for 17 years. 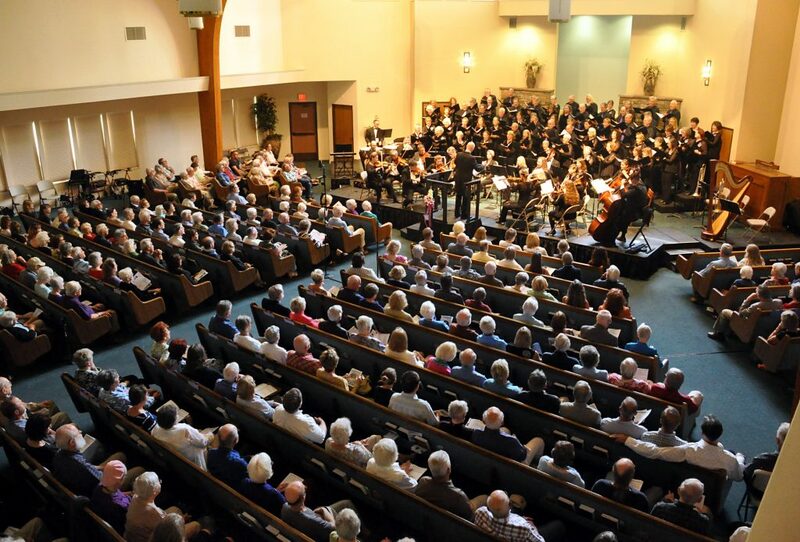 The 70-member all-volunteer Sierra Master Chorale rehearses for 13 weeks prior to the performances including two rehearsals with the orchestra, which will consist of twenty local and regional professional musicians. “The choir enjoys her great sense of humor, exceptional skills both in leadership and choral conducting, and her willingness to allow the choir space as we transition through this change. We’re also finding her music choices challenging and engaging,” said Executive Director Julie Hardin who sings alto in the choir. Solo voices for the ‘Requiem’ will be baritone Kevin Doherty, who is known by many as Capital Public Radio’s Morning Classical Host and Classical Content Coordinator; and boy soprano Bren Altenbach who is the talented 11-year-old son of concertmaster Richard Altenbach. “Alison may have a surprise guest for the rousing spiritual finale, but my lips are sealed until then,” said Julie Hardin. Tickets to the 2 p.m. May 19th and 7:30 p.m. May 21st performances are $38 for general admission, and $19 for youth ages 5-17. Tickets are available by phone at 530-273-3990, online at www.inconcertsierra.org or in person at BriarPatch Co-op, and at the door the day of the concert. The performance will be at the Seventh-day Adventist Church in Grass Valley, 12889 Osborne Hill Road. For more information, please visit www.inconcertsierra.org or call 530-273-3990. 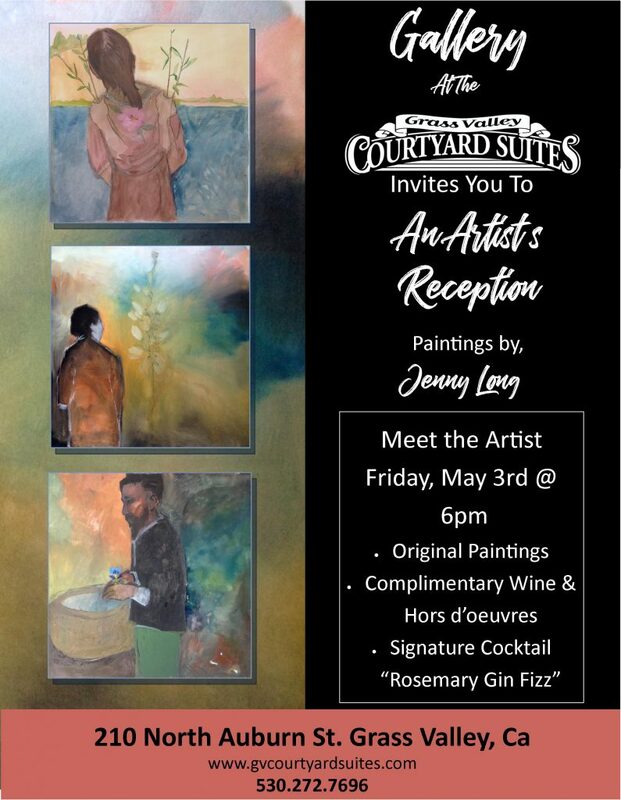 Spring showers bring May flowers and in this case Grass Valley Courtyard Suites, Grass Valley’s premier art hotel, brings you Jenny Long, the featured artist for the month of May. Celebrate spring and join us for our May 3rd artist reception starting at 6pm. Free and open to the public offering complementary wine and hors d’oeuvres, Jenny Long brings us deep brush strokes and subdued tones in her artwork on display all month in the Gallery at Grass Valley Courtyard Suites 210 N. Auburn Street in Downtown Grass Valley. Jenny Long is an artist who has made her home in Nevada City, California. She arrived as a teenager to attend a local Quaker High School, John Woolman. Supporting her family over the years through varied employment she kept her passion of art afloat. From drawing and sketching Jenny settled on painting in the late 70’s and has been expressing her art through painting ever since. In recent years she has traveled to study with other artists. 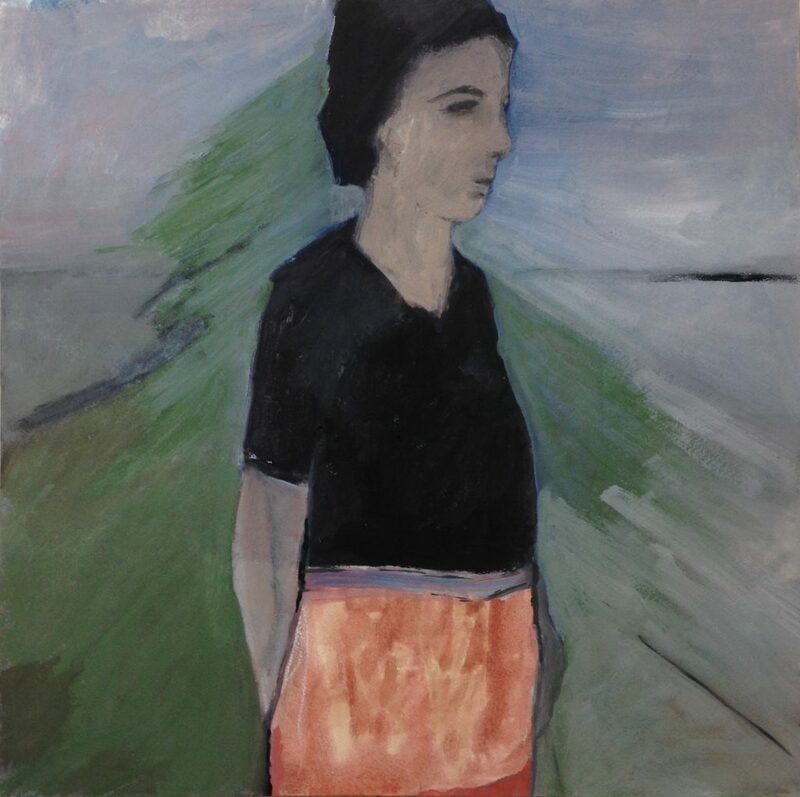 Working with scenes and figures, Jenny Long describes her experience as “one of inside out, of a meeting and exposure”. On Sunday, May 5th, Sierra Cinemas/Nevada Theatre Film Series presents “Jimi Hendrix: Electric Church” at 7pm at the Nevada Theatre. 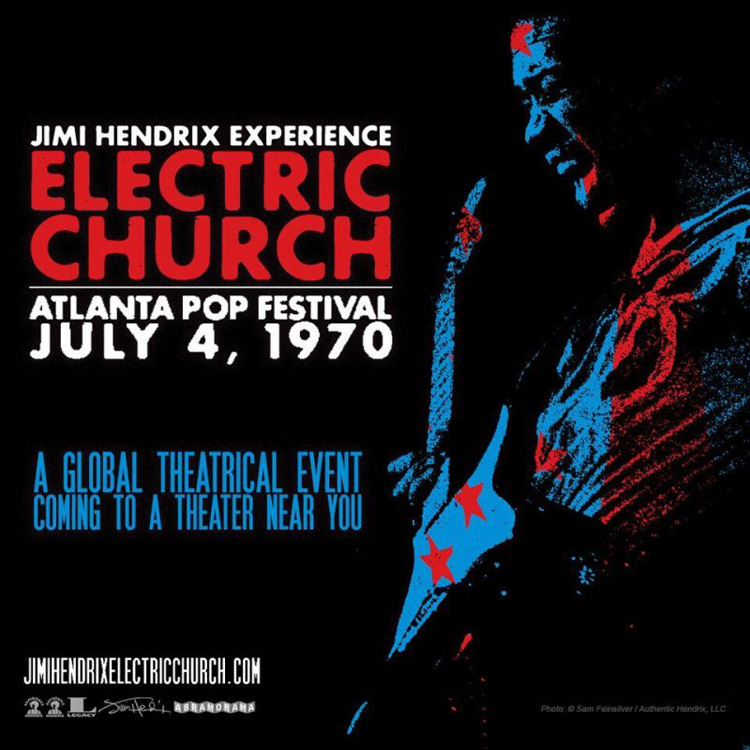 Electric Church presents the legendary guitarist in full flight at the 1970 Atlanta International Pop Festival before the largest US audience of his career. This critically acclaimed film includes amazing multi-camera footage of Hendrix’s unforgettable July 4, 1970 concert in the original performance sequence including “All Along The Watchtower,” “Hey Joe,” “Foxy Lady” and many more. The film also includes new documentary footage that traces his journey to the festival amidst the dark shadow of civil rights unrest, the toll of the Vietnam War and a burgeoning festival culture that drew together young people across the country who were inspired by the Woodstock festival. The film includes interviews with Jimi Hendrix, his band mates Billy Cox and the late Mitch Mitchell, as well as Paul McCartney, Steve Winwood, Derek Trucks, Susan Tedeschi and many others. 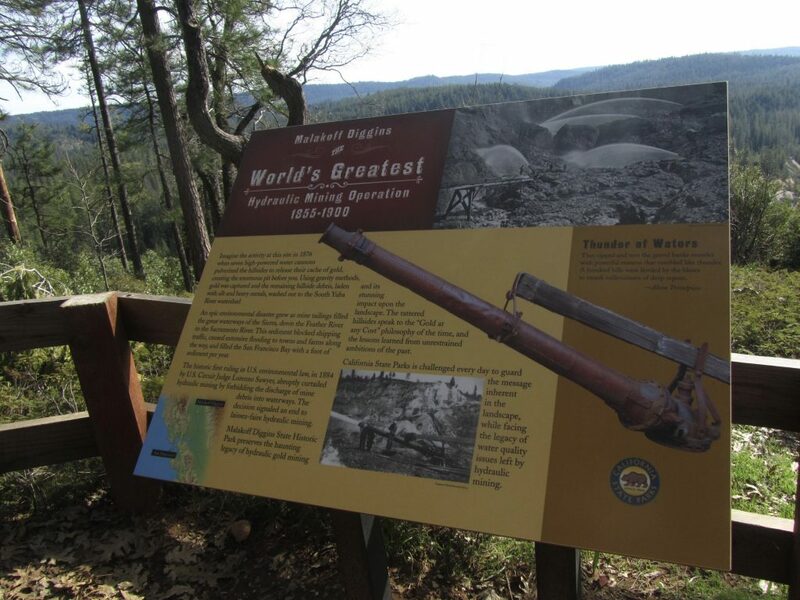 The Friends of North Bloomfield & Malakoff Diggins and California State Parks Sierra Gold sector have scheduled a very special Discover Malakoff! Hike Saturday, May 11, from 11AM-2PM. The goal of the Discover Malakoff! events and activities is to ignite interest and support for the wide spectrum of resources and activities available to the public at Malakoff Diggins State Historic Park. The family-friendly guided 4-mile loop hike is considered moderate in difficulty, with less than 1,000’ total elevation gain. Chris Ward*, author of Cemeteries of the Western Sierra, will guide the custom loop of Malakoff Diggins SHP trails, regaling hikers with stories and snippets of history, from the pre-history of the first inhabitants, the gold-mining era, and post-mining occupations, to the modern day. We will learn about Native American, Chinese, and French cultural influences to this landscape, and discover the beauty of spring in the foothills, with wildflowers, waterfalls, and birdsong. Hikers are advised to bring camera, picnic lunch, water bottle, and dress in layers, to accommodate the changeable spring weather. Sturdy shoes are a must. Long-sleeved shirts and long pants are recommended, to protect from the occasional brush with poison oak and the emerging mosquitos. Bring a small backpack to store un-used items. Children 10 and above can handle the hike with the support of a parent/guardian. Due to some tree fall across the trail from this winter’s storms, some trail sections have not been completely cleared; therefore, brief sojourns off-trail will happen. “I think the hike offers a healthful and familiar walk, yet will also provide some new insights with the addition of an uncommon forested route to ponder and enjoy” observes hike leader Chris Ward. Note: Accessing the park from Highway 49 and Tyler Foote Road is recommended, as the shortest route via North Bloomfield Road is very rough, and unpaved from Edwards Crossing. This event is limited to the first 30 participants and requires pre-registration RSVP. A waitlist will be maintained. COST: $10 suggested donation for tour ($20/family); $5 State Park day-use parking fee using self-pay envelopes. Donations will be collected on-site. No one will be turned away for lack of funds. Donations go to support state park educational and interpretive programs. Pre-registration requested, limited to 30 participants. 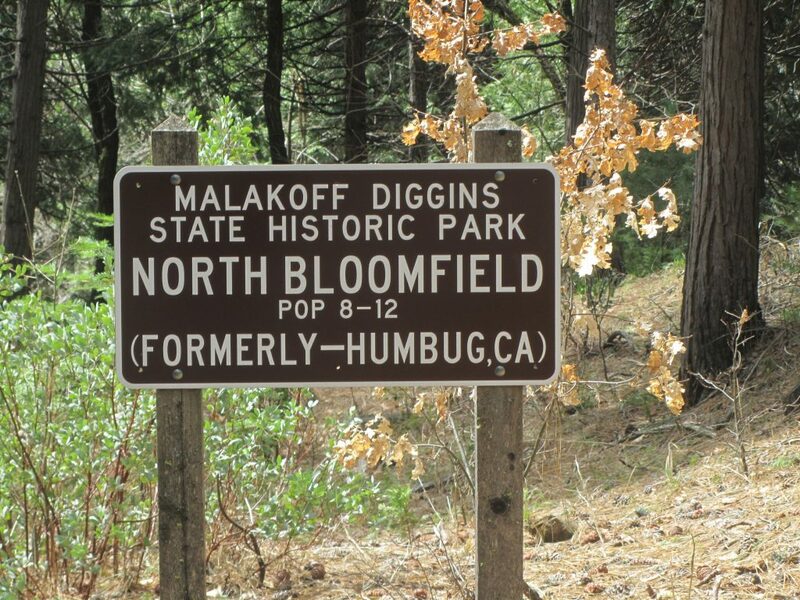 Visit http://malakoffdigginsstatepark.org/to learn more about the park and about the Friends of North Bloomfield & Malakoff Diggins. *Chris Ward is an archeological specialist and a contributor to numerous investigatory research projects throughout California. He is a member of multiple organizations dedicated to the conservation of California’s heritage, including the Society of California Archaeology and multiple regional and county preservation groups. Pottery, paintings, photos, sculptures, textiles – all artists welcome! Artists creating small-to-medium-sized works are invited to participate in an art show and wine tasting set for 5 to 7 p.m. Friday, May 31, at Peace Lutheran Church, 828 W. Main St., near downtown Grass Valley. The deadline for applying to enter is Friday, May 3. Works will be sold at silent auction. Artists will set the minimum price for their works and receive that amount for all works sold. Any amount bid above the minimum price will benefit the Peace Organ Fund. Peace Lutheran Church is raising money to replace its aging organ with a combination instrument that will be capable of playing real pipes, which create a uniquely stirring sound. Smaller works will be displayed on tables. Paintings and photographs should come with a tabletop easel for setting up. Medium-sized works can be accommodated with a standing easel. No wall space is available, so larger pieces cannot be accepted. To submit a piece of art, contact Connie Berg at decoberg@aol.com or (530) 432-1607 by May 3 for details. Include a photo of the item. The event will include a tasting of fine wines, plus hors d’oeuvres, music and lively conversation. It’s part of the Arts @ PEACE series of high-quality cultural events offered to the public. Future Arts @ PEACE events include a presentation of the Tintabulations handbell choir on tour from Reno at 6 p.m. Sunday, May 19; a presentation of English organist Simon Gledhill, live in concert at 4 p.m. Sunday, June 23; Silent Movies with Walt Strony; and concerts of fine organ and piano music. Visit www.PeaceLutheranGV.org for more information. 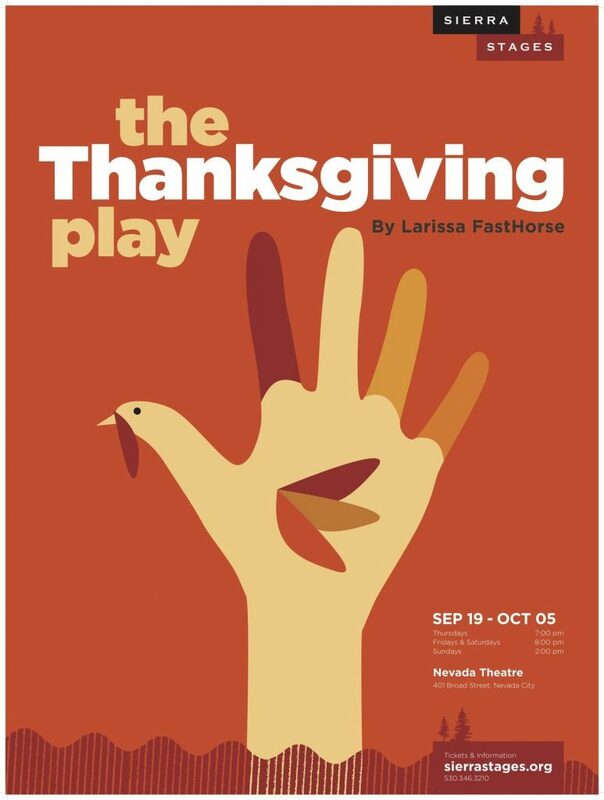 Sierra Stages is pleased to announce open auditions for its fall production of “The Thanksgiving Play” by Larissa FastHorse, playing from September 19 through October 5, 2019 at the historic Nevada Theatre in Nevada City. The director is Sandra Rockman. In “The Thanksgiving Play,” four mismatched artists attempt to devise an ethnically sensitive play for the local schools to celebrate both Thanksgiving and Native American Heritage Month – with no Native American actors. In this wickedly funny satire, political correctness, ego and just plain ignorance collide as these well-meaning self-proclaimed artists try to perform a Thanksgiving miracle (without killing any turkeys). There are two opportunities to audition: Saturday, May 11 and Sunday, May 12 from 10:00 a.m. to 12:00 p.m on each day. Auditions on both days are at the Sierra Stages Rehearsal Studio, 828 West Main Street in Grass Valley. (Directions are on the Sierra Stages website.) All roles are open. All roles are unpaid. For important information about auditions and scheduling an appointment, please visit http://www.sierrastages.org/auditions.html. If there are questions about auditions, please send e-mail to auditions@sierrastages.org or call Sierra Stages at (530) 346-3210. Sierra Stages is a nonprofit community theater based in western Nevada County with a mission to provide quality productions that are affordable and accessible to everyone. Since it began eleven years ago, Sierra Stages has presented 35 plays and musicals and 30 informal play readings (as part of Theater by the Book co-presented with the Miners Foundry Cultural Center. For information about Sierra Stages, visit www.SierraStages.org or call 530.346.3210. After 15 years in downtown Nevada City, Judi’s of Nevada City is closing. Beginning Monday, April 29th, all new spring and summer merchandise is 30% off and all other sale merchandise is up to 70% off. “I am so grateful for all the wonderful support I have received from this community and for all the friendships I have made over the years so I find it bittersweet to say farewell” said owner Judi Weiner. “We have also enjoyed supporting the community with various fundraisers for local non-profits. It’s been a great 15 years, and I’m looking forward to new adventures”. Judi’s offers clothing and accessories selected for quality, style, individuality and ease of care. Judi’s carries a number of nationally and internationally known lines, and also sells items that are handcrafted by local artisans. Everything is now on sale, including furniture and fixtures. Tonight we will be guiding you along step-by-step as you create this beautiful painting of a peacock showing off his colorful plumage. And it’s easier than it looks! 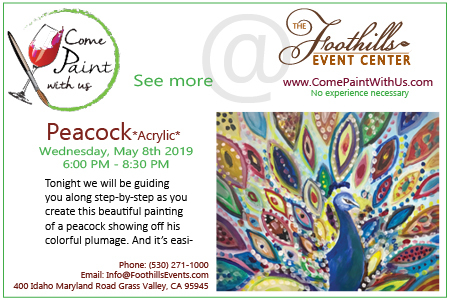 Painting classes are held at the beautiful Foothills Event Center. 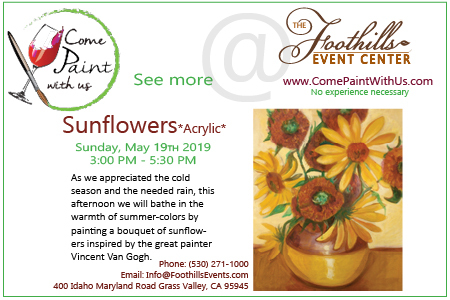 As we appreciated the cold season and the needed rain, this afternoon we will bathe in the warmth of summer-colors by painting a bouquet of sunflowers inspired by the great painter Vincent Van Gogh. Painting classes are held at the beautiful Foothills Event Center. The Center has free parking and is always an easy drive; it’s located in Grass Valley, close to Lake Tahoe, Reno, Nevada City, Yuba City, Auburn, Loomis, Granite Bay, Roseville, Penn Valley, Colfax, Rocklin, Truckee, Downieville, and Sacramento areas. Experience a place for locals interested in pursuing their own creative endeavors, where people in our community can enjoy having a place to socialize and be creative at the same time. Lake Tahoe is the largest alpine lake in North America; deep and wide, bluer than blue and surrounded by the majestic Sierra Nevada Mountains. 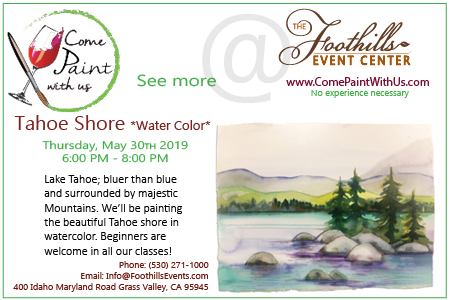 In this class, we’ll be painting the beautiful Tahoe shore in watercolor. Beginners are welcome in all our classes! Restaurant, Bar & Event Space in historical stone building downtown Nevada City. Join us for brunch, lunch and dinner Wednesday – Sunday. 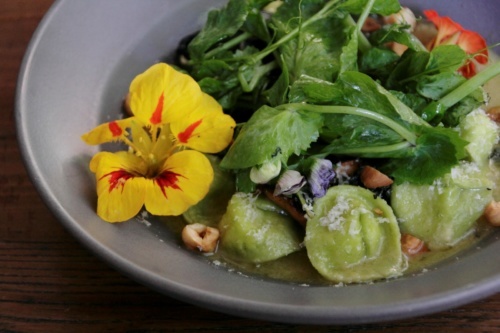 Our kitchen is open from 11am-11pm serving organic dishes featuring local ingredients whenever possible. Enjoy happy hour in the Tavern and check out our calendar for nightly music shows and late night entertainment until 2am on Fridays & Saturdays. Bop on out to the Food Love Farm Saturdays May 4, 11, 18 (all 9 am to 1 pm) and purchase a huge variety of certified organic plant starts for your garden just in time for planting – tomatoes, peppers, kale, lettuce, and so much more! Very reasonable prices and all proceeds support the Food Love Farm’s educational programs! You can find the Food Love Farm by taking N. Bloomfield Road from Hwy 49, and turning left on Lake Vera Rd. Look for the Burton Homestead on the left hand side, #16200, just before Excelsior Ditch Rd. 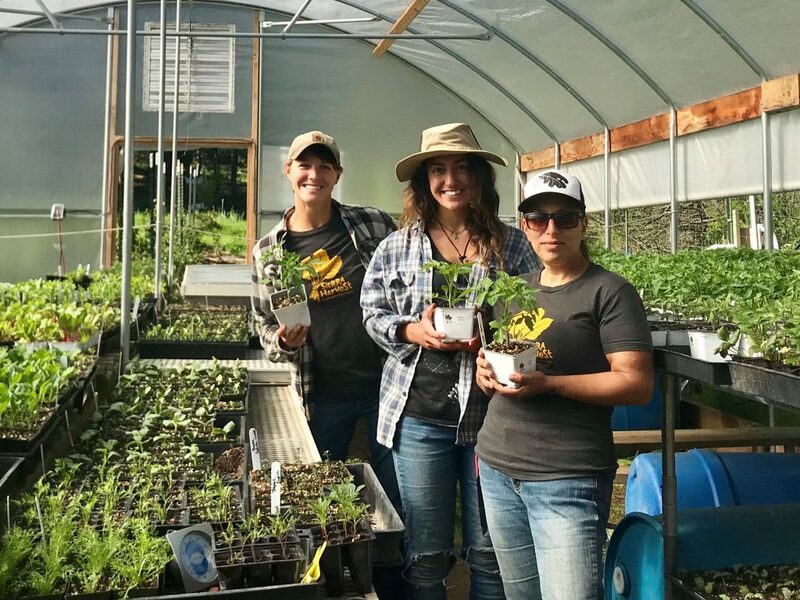 Sierra Harvest’s Food Love Farm is an educational farm devoted to promoting nutrition education, food security, and community involvement in growing, harvesting, eating, and celebrating fresh food! Founded in 2010, the farm hosts 2,000 visitors a year! What are you doing this summer? It’s time for the 8th Annual Summer Camp and Activities Fair which will take place on Saturday, May 4. 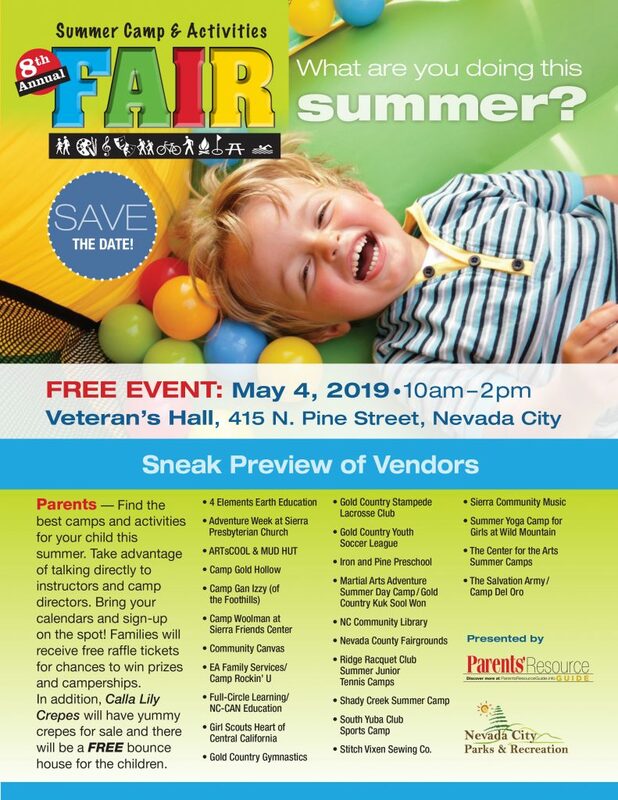 Presented by Nevada County Parks and Recreation and the Parents’ Resource Guide, this free event will be held from 10-2 at the Nevada City Veterans Building, North Pine St., in Nevada City. Come visit with program directors and camp leaders from numerous camps. Ask questions so you can find the best activities for your child. Let’s keep our children active, learning, and having fun this summer! For more information, or to sign-up as a vendor or a sponsor, contact Dawn at Nevada City Parks and Recreation, 530-265-2496 x129. 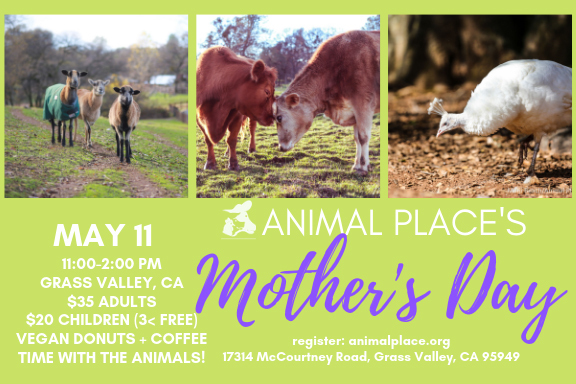 Celebrate all mothers or the mother-figure in your life and join us for vegan donuts, coffee, and time with the rescued animals! Tickets are $35 general admission $20 for children 15 and younger and free for children under the age of 3 years. Special Activities from 11:00 a.m. to 4:00 p.m. The event will also feature lots of live music from local artists such as Heather MacAdam, Celtic Joy, Back Porch Swing, Tad and Diane Kitada, and saxophonist Tim Profitt, plus magician Bruce Gauthier. All-girl band the Heifer Belles will be playing outside Empire Cottage from 1:30 to 3:30 p.m.
Children will enjoy a variety of activities. The Potting Bench, for example, is a favorite with youngsters, where they can make little, living gifts moms will treasure. Just behind the 1905 Clubhouse, there will be Lincoln Logs, coloring tables, and instead of hobby horses, hobby mules will be on hand. “Since mules played such a key part in Empire’s history, it’s only fitting,” Randar added. The Mine Yard, with its busy Blacksmith Shop and Mine Shaft, will be buzzing with activity, giving visitors a chance to experience at least some of what life was like during Empire’s heady days of prosperity. The Gift Shop, with its treasure trove of selections for all budgets, will be open as well. “Everyone’s invited,” Randar confirmed. “Our volunteers and staff have put so much creativity and extra effort into making this event memorable it’s both exciting and heartwarming.” Special activities will take place from 11:00 a.m. to 4:00 p.m. Regular admission fees apply: $7 for those 17 and over and $3 for ages 6-16. Admission is FREE for children under 6 – and parking is FREE. Well-behaved dogs on leashes are welcome, too, making it a day for every single member of the family to enjoy. Phone the Visitor Center on (530) 273-8522 or visit http://www.empiremine.org for further details. 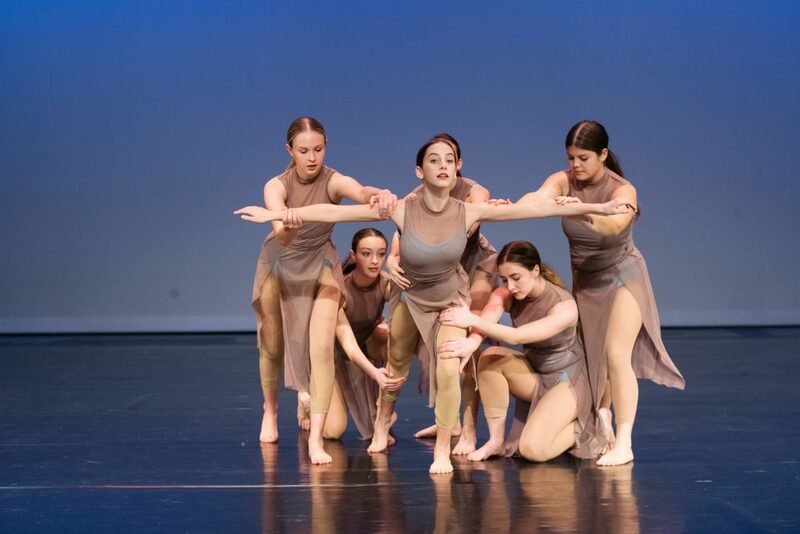 When: Saturday, May 11th 11:00 a.m. to 4:00 p.m.
Continues May 3 and 4 at 7:00 p.m.
Over one hundred NU dance students from advanced, intermediate, and beginning level classes perform a variety of dance styles including tap, jazz, musical theatre, hip hop, ballet, and modern/contemporary. 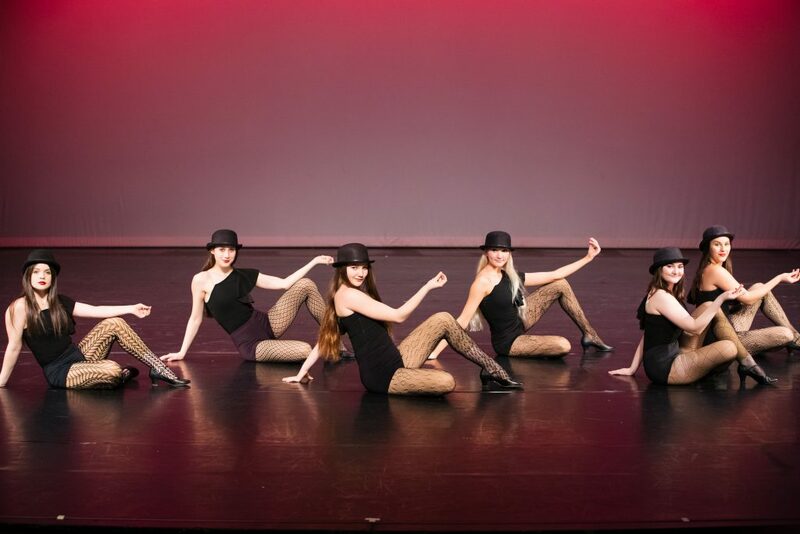 Each dance is inspired by a famous show on Broadway, such as West Side Story, Guys and Dolls, Bye Bye Birdie, Mamma Mia, Chicago, Dreamgirls, American Idiot, Waitress, Rent, and more. For the past four months, NU dance students have trained daily in technique classes and attended after-school enrichment classes as well as several weekend rehearsals to prepare for this show. The NU dancers worked with multiple professional dance choreographers from across the country to rehearse pieces for this show. The opening piece, titled “Behind The Chorus Line,” tells the story of dancers auditioning for Broadway shows. It was choreographed by New York City professional dancer Jesse Beck, who taught ballet master classes to nearly 150 NU dance students. Advanced dancers learned “Magic To Do” from Pippin during a weekend rehearsal with Los Angeles-based choreographer Chelsea Asman. Guest choreographer Karen Attix, a professional dancer from the Merce Cunningham Dance Company, worked with intermediate and advanced dancers on a piece inspired by the hit new musical, Hamilton. NU dance alumnus Jackson Knappen traveled from Seattle to teach contemporary dance and floorwork to NU students; he choreographed a piece to “I Dreamed a Dream” from Les Miserablés. There is one student choreographed piece in the show, created by NU senior Nevada Wadman, who taught a dance class two days per week to sixteen special education students, who will perform a scene from Newsies. Tickets for the show are $12 to $15, depending on seating location. All seating is reserved. Tickets can be purchased online at www.nevadauniondance.com. Tickets can also be purchased in the Don Baggett Theater lobby on Wednesday, May 1st from 4:30-6:00 p.m., and on show nights at the box office. The box office opens two hours before each performance. Online ticket sales close the morning of the performance to prepare the box office. In-person sales are cash or check only. 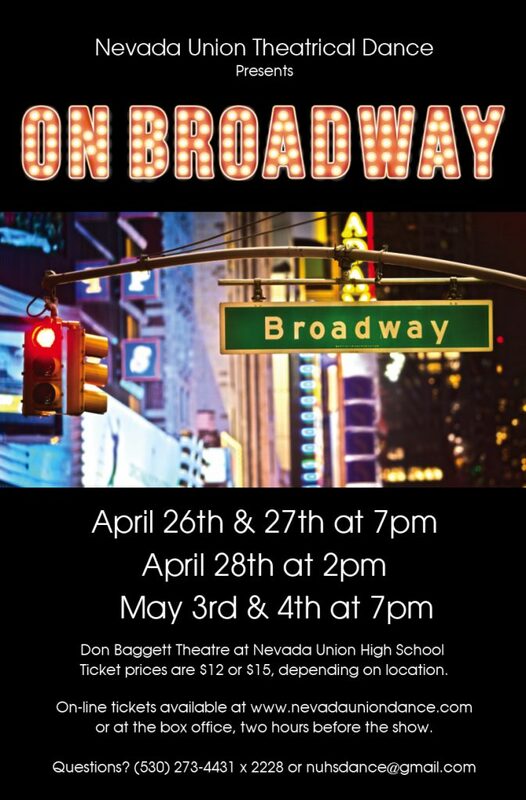 For additional information, contact the Nevada Union Dance Department at (530) 273-4431 ext. 2103. 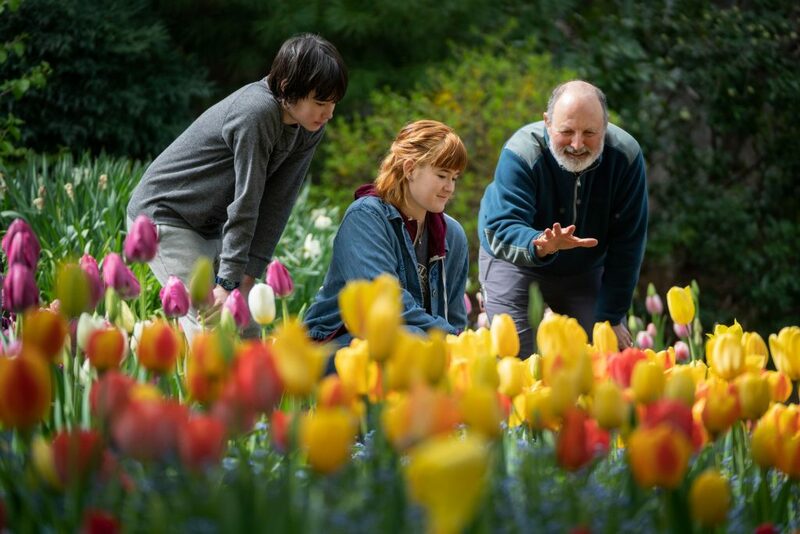 Crystal Hermitage Gardens: Springtime at Ananda tulip season will celebrate Ananda’s 50th birthday in 2019. What began 40 years ago as a small private garden is now frequently a top Gorgeous Gardens in the West. 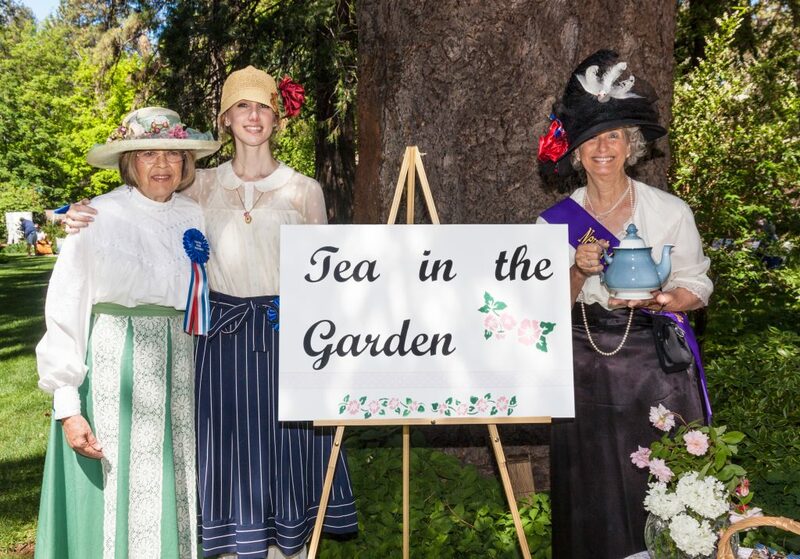 Visiting the garden is annual springtime tradition in the Sierra Foothills for over 12,000 visitors from as far away as India. Trip Advisor reviewers have made the Crystal Hermitage one of the Top 3 spots to visit around Nevada City, CA. Close to 17,000 tulips bloom in the formal gardens surrounding the Crystal Hermitage, giving a spectacular display of color—111 varieties—April through early-May. A place of deep peace and joy, Crystal Hermitage was the home of Swami Kriyananda where he wrote many of his 140 books and composed some of his 400 pieces of music. You can visit year round, or rent the Crystal Hermitage gardens for a retreats, proposals, weddings and baptisms. The grounds include a chapel, modeled after St. Francis of Assisi’s chapel in Italy. Swami Kriyananda founded Ananda Village and it has grown into a worldwide movement, now with 8 communities of people living yoga in daily life, and 145 meditation groups and centers in North America, Europe and India. A direct disciple of Paramhansa Yogananda—whose Autobiography of a Yogi sparked the revolution of yoga and meditation in the West that we are living today—Swami Kriyananda was laid to rest in the Moksha Mandir below the gardens in 2013. “We believe they can transform the world,” said Shomik Chaudhuri, President of the Institute of International Social Development (IISD), when he presented Ananda with the Global Ambassador Peace Award at the United Nations Church Center in New York City in 2017. For more information, contact Mai Lee, mai@ananda.org, 530-478-7712. Advance tickets are highly recommended to visit the garden this year. Admission is $8 weekdays, $10 weekends, children 12 & under free. For groups of 10 or more, please call 530/478-7587 for reservations. Open house weekends are April 13-14, 20-21. During event weekends, visitors can chat with our lead gardener and award winning landscape designer; enjoy our famous maple scones; or just sit and enjoy the peace and beauty. For more information or to purchase tickets, visit www.crystalhermitage.org or call 530/478-7574. Please note: On Friday, April 22 the gardens will open at 1 pm. Please no alcohol, pets or picnicking. 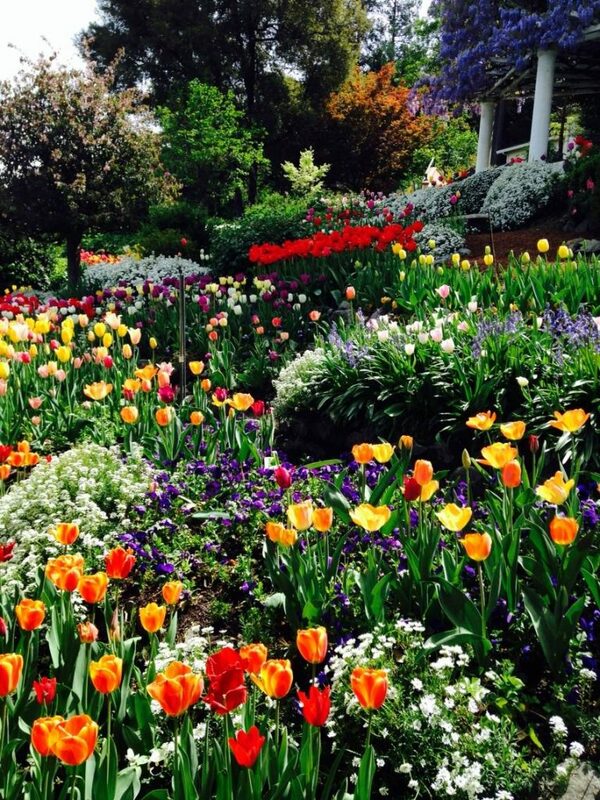 Enjoy lunch or dinner at the Stone House and receive complimentary tickets to see the Tulips! 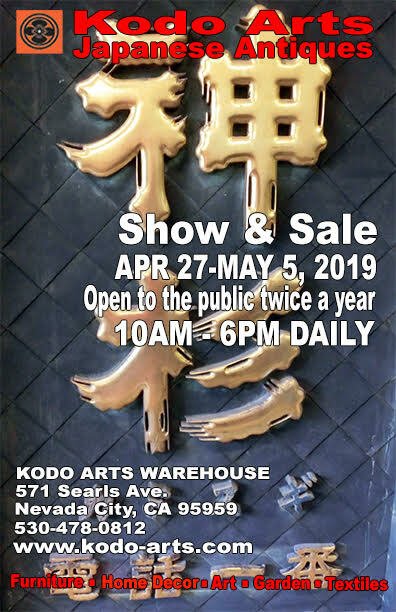 Kodo Arts will be presenting an unusual sale of ‘YAMA’ or mountains of similar pieces within particular genres, but each very different and varied, giving the viewer unique examples of that item and choices of styles within that category. For example, there will be ‘mountains’ of Japanese antique furniture; a fascinating array of industrial lamps made with old Japanese ship instruments, old kimono stencils carved out of mulberry paper, an awesome collection of different Kannon goddess statues, carpenter tools, old ceramic and bronze hibachis, stone jizo dieties and garden lanterns to mention a few. Old and modern ceramic vases will add another eye-catching aesthetic touch. Plus many more. 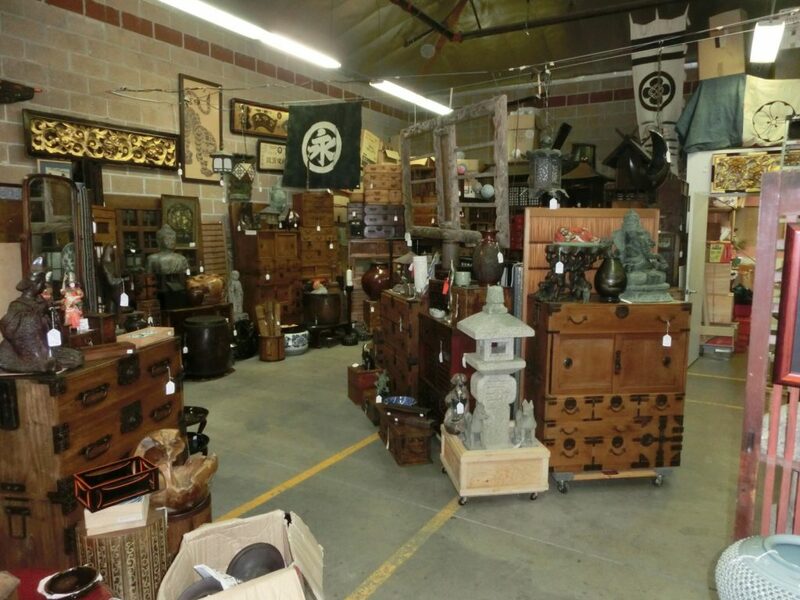 The warehouse will be full of these items during the Kodo Arts annual spring warehouse sale APRIL 27 – MAY 5. Open to the public just twice a year, this event promises to hold something for every taste and budget. Come and enjoy a stroll around a Kyoto antique temple market. 10Am -6pm daily. 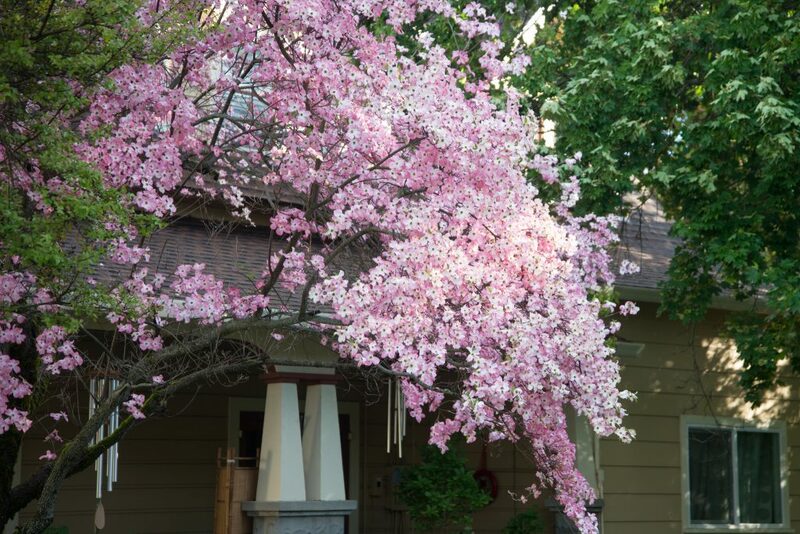 Springtime is blossoming at Crystal Hermitage in Ananda Village. 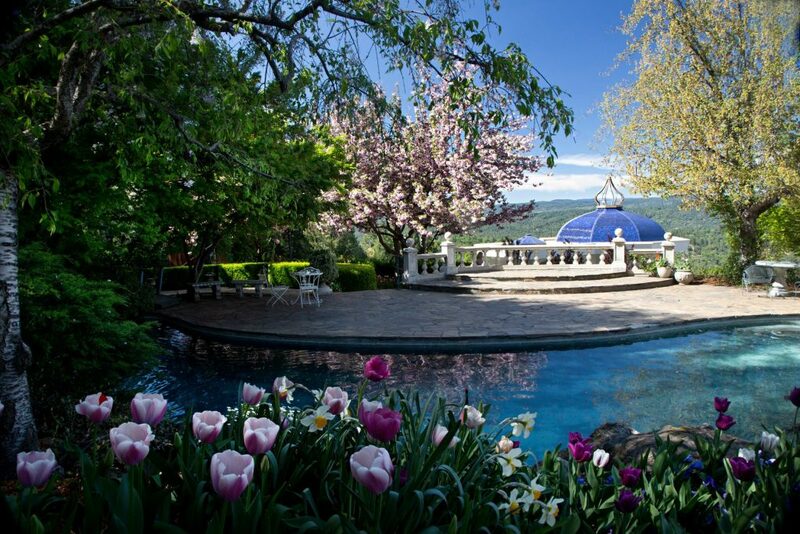 Come see the spectacular annual blooming of over 17,000 tulips at this beautiful, pristine and lovingly attended garden overlooking the Yuba River and Sierra vistas just 25 minutes above Nevada City proper. 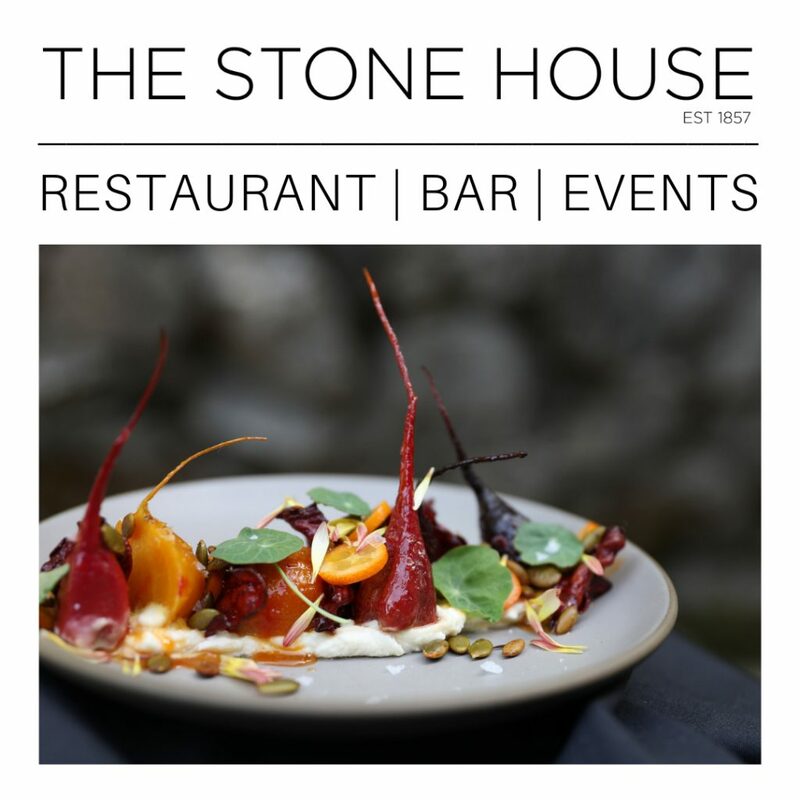 Come for the tulips, then enjoy a fresh, locally-sourced, seasonally appropriate lunch or dinner at the Stone House restaurant in historic downtown Nevada City with this special combined offer from April 15th through May 5th. So many people make the journey to experience the tulips at Crystal Hermitage Gardens, Nevada City Chamber of Commerce is pleased to announce the Stone House restaurant has partnered with Crystal Hermitage Gardens to offer a tour plus two-course lunch (or three-course dinner) in their historic building in downtown Nevada City. Dubbed ‘Tulips and a Table for Two’ this offer celebrates tulips as the symbol of spring love with dinner or lunch at The Stone House, and the experience of thousands of blooming tulips at Crystal Hermitage Gardens. Enjoy shops, sites and plenty of history in this Gold Rush gem of a town. 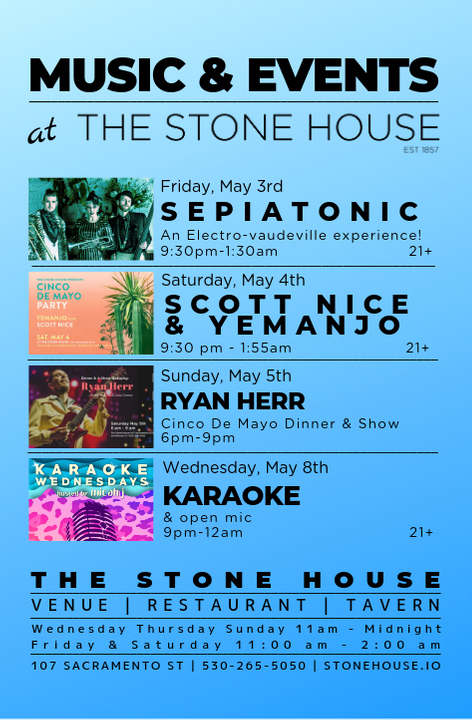 Note: Your ticket can be used at The Stone House and Crystal Hermitage Gardens on the same or different dates, April 15th – May 5th, 2019 (except Easter Sunday). Allow 25 minutes each way between the restaurant and the gardens. Full directions at website. Visit Nevada City Chamber of Commerce for maps and information at 132 Main Street, Nevada City, Ca or www.NevadaCityChamber.com.